This is the Match winning .45 load developed just for you! Fall in love with your .45 again. This is a match winning, extremely accurate load that will tell you just how well your tuned 45 will shoot. It features a match grade 185 JHP, prized among serious bullseye shooters for its gilt edged accuracy. This is a mild shooting target load, loaded to 775 fps. which has proven to be a sweet spot in accuracy and function. It is an extremely pleasant load to shoot, especially in extended training sessions. Beware, it may just make you fall in love with your 45 again. This load will run in most 1911s with a stock 16lb. spring. For more brisk ejection, springs from 10 to 14 lbs. can also be used. 1911s set up to run modern hollow point ammunition should have no problem in feeding this round. It is loaded in our ASYM MATCH brass, custom drawn and made to our specifications, and is propelled by premium VihtaVouri powder. Occasionally, we may do custom runs in Nickel-Plated brass as per customer demand. Please note: This load is a premium TARGET load. Although it uses a JHP projectile, the bullet is not designed to expand at the given velocity. 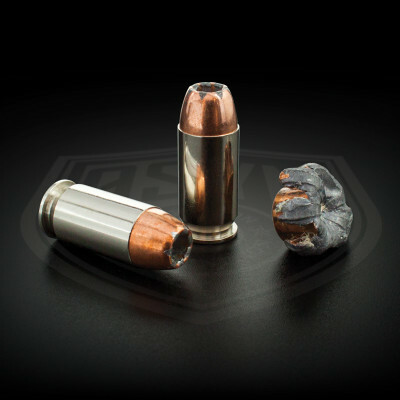 For a premium DEFENSIVE load, please check out our SOLID DEFENSE XTM (SDX) load featuring the Barnes solid copper TAC-XP bullet. BREAKING NEWS! Brian Zins wins his 12th NRA National Pistol Title at Camp Perry using ASYM 45 ACP National Match! Normally use the Asym remanufactured 45 ACP ammunition for range/practice. So far this year I’ve attended 3 programs at the Sig Academy. These programs average 300 – 400 rounds per day. That’s a lot of battering (of this old shooter not the gun). I’m planning on attending a couple more, so thought I’d try these National Match 185 gr. JHP. Bought 500 and took 200 to the range yesterday. This ammo is TERRIFIC. wicked accurate, soft shooting (felt like 9mm stuff in my Dan Wesson V-Bob) and very clean. A guy in the next lane asked to try some and was instantly converted. Cannot say enough good things about this round. I bought a 500 round case of this ammo a couple of years ago. To date, I have fired about 300 rounds of it. I use it for range time where I am most focused on accuracy. This is by far the most accurate ammo I have ever fired thru any handgun. I primarily shoot this in my Wilson Combat Pro Lightweight. It is a very nice soft recoil round that wint tired your hands and wrists out if you want or need to shoot a good many rounds. I normally go thru 200 rounds each time I go to the range and with standard 230 grain loads, it wears on my hands and my grip suffers. It also wears on my wrists and my accuracy suffers. This load is the perfect balance. I plan to buy more soon for my Eilson and also plan to buy a 500 round case for my 9mm carry weapon. I want to maximize by ability for shooting accurately and this ammo allows that. It also doesnt hurt that it is the second cleanest firing ammo I’ve ever used. Second only to the old Winchester WinClean which is very hard to find now. Once you try this ammo, you wont use anything else.